well as carrying out audits since 1974. FIDUCONSULT, a dynamic and innovative trust organisation, has been providing accounting, fiscal and legal services as well as carrying out audits since 1974. 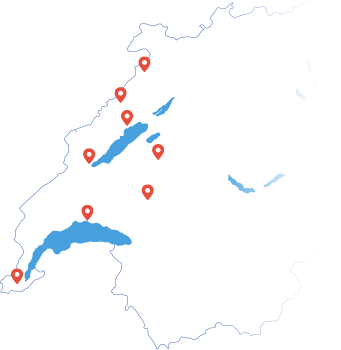 FIDUCONSULT is in fact an affiliation of several companies that between them cover five cantons and eight towns or cities. Major decisions are taken in Fribourg, which straddles the interface between the two main linguistic regions of Switzerland. Thanks to its coverage of a fair proportion of the country, FIDUCONSULT is in touch with the regions and is familiar with their specificities, which enables the organisation to offer a broad range of expertise as well as the perfect solutions to our clients’ needs. FIDUCONSULT brings together a team of fully qualified accountants, tax specialists, economists and lawyers. This large group of experts ensures that the client will immediately be put in touch with the most competent specialist in the field in question and that tailor-made solutions will be found. FIDUCONSULT comprises a flexible team of people who can be mobilised rapidly to address and solve all sorts of problems, however complex, while remaining at all times aware of legal requirements and respectful of time and cost. And moreover, FIDUCONSULT works in French, German, English and Italian. The availability of FIDUCONSULT, as expressed in the organisation’s rapid and competent response to a variety of demands from clients, has resulted in a recognised presence at a local level. And the result of this is total respect for our clients: a firm commitment towards adopting an attitude based on strict adherence to our code of ethics and the quality criteria that we consider essential and the constant quest to ensure that our clients get added value.